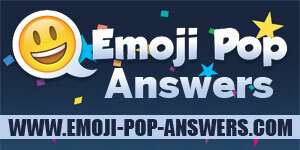 This is the Movies Emoji Pop Answers section. We have all the cheats for Emoji Pop Guess The Movies. To find the answer that you are looking for, just navigate to Level that you are stuck on (the Level, and not the puzzle number.) Each level has 20 puzzles. The find the screenshot of the puzzle that you need help with and click on it. We'll show you the answer.